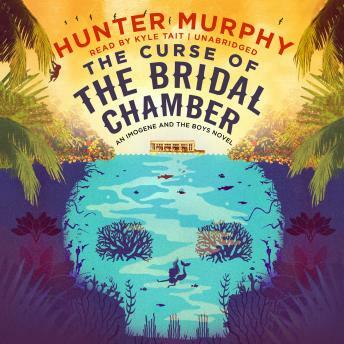 In Hunter Murphy's follow-up to Imogene in New Orleans, the indomitable senior sleuth and her outrageously endearing Alabama family find themselves in hot water while on a family vacation at a mermaid convention in sunny Florida. When Imogene and her brood, including Goose the bulldog, encounter a dead body floating in the fresh-water springs beneath their glass-bottom boat, the local police immediately arrest one of the Alabama visitors for the crime.Now the aging amateur crime solver must exonerate her own family, but unearthing a killer among the park's past and present mermaids and employees promises to be no easy task, since so many of them are thrilled that the victim is sleeping with the fishes. And a decades-old curse that has deposited more than one dead body in the Bridal Chamber spring now seems focused on Imogene and her kin, who are wading into dangerous waters indeed. Witty and colorful, The Curse of the Bridal Chamber will keep you enthralled until the final surprising revelation.